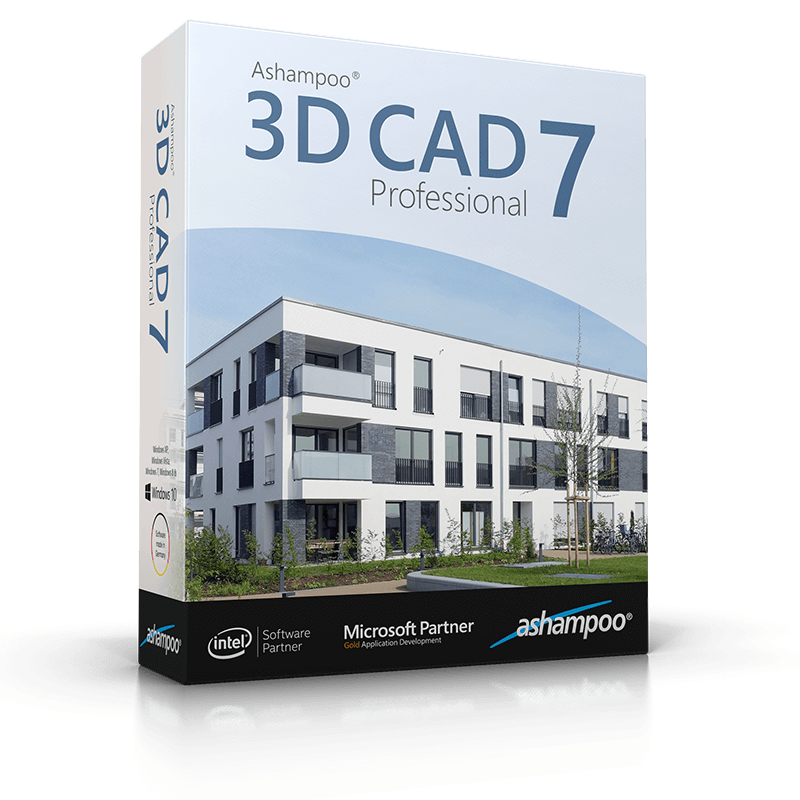 Ashampoo 3D CAD Professional 7 is the professional solution for designers, draftsmen, decorators and landscapers. The software covers every stage from planning, visualizing to calculating your projects for high quality results without the need for additional software. Thanks to the intuitive, thematically structured user interface, every feature is just one click away. All interface elements are logically arranged and quickly accessible. The new SketchUp and Collada import provides access to millions of additional objects to support even the most individual of projects with a high level of detail. New photovoltaic features allow for realistic planning of rooftop and flat arrays while the conception of entire facades has been greatly simplified with the introduction of raster elements. All plans are instantly exportable as PDF, RTF or Excel files for precise calculations from initial sketches to finished proposals. The program imports and exports DXF and DWG files. Users can also export to Maxon Cinema 4D format for further processing to achieve extra visual polish for project presentations. Version 7 supports parameterized and free 2D lines for more individualism and precision. Customizable visibility presets and edge snapping allow for better structured work flows and provide improved visual clarity. The ability to copy windows and doors between walls or copy and move dormers are significant time savers.